Do you use a cloud-based storage service with your mobile device? If so the odds are good that you are a Dropbox user; if that is you, you are in good company, as Dropbox just announced its 100 millionth user. To celebrate the occasion Dropbox is asking users for their personal success stories using their storage, and their 100 favorite submissions will be rewarded with an extra 10 GB of free storage for their troubles. 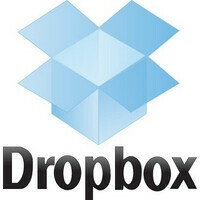 Dropbox founder Drew Houston also took time to reflect on the cuirrent state of the market, as corporate giants like Amazon, Apple, Google, and Microsoft ship services that directly compete with Dropbox. Houston is convinced that the head start his company has will allow them to stay ahead of the curve for years to come, telling The New York Times "those companies are busy trying to build something we had four years ago. We're out front." Houston indicated that Dropbox will continue to work on streamlining and improving their offering to stay out in front of the competition. It’s not clear whether this optimism is warranted or not; while cloud storage services benefit from a strong network effect (the phrase “I can share that through Dropbox” has probably garnered more new users than almost anything else), the fact that the big ecosystem companies are baking in their own solutions gives them easier access to ever larger pools of customers, perhaps nowhere more clearly than with iOS and Android. To stay ahead Dropbox will have to continue to execute, and do so well enough to offer a service that is clearly superior to what already shipped with your mobile device. Let us know what cloud-based storage solution you use, and what you prefer about it in the comments section below! Best Cloud based App. You people are the best at it ! I use: Dropbox, Google Drive and Ubuntu One. Dropbox is my favourite. Google Drive is the second option (there is no client for Linux, so I can not use it on my personal computer).